Pest description and crop damage Widespread in Idaho and the adjoining Oregon production region, they annually reach economically damaging levels. 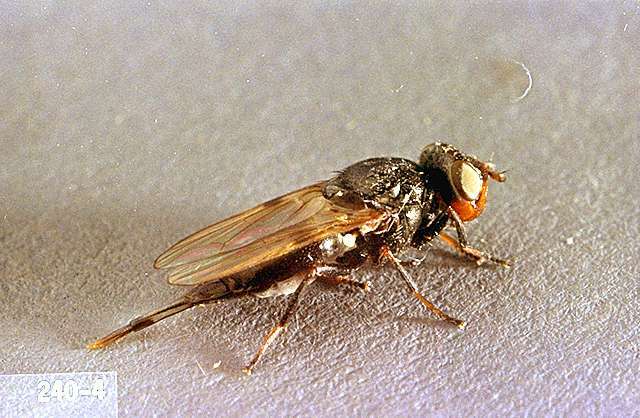 Spring-emerging adult flies lay eggs in soil next to young sugar beet plants during May and June. 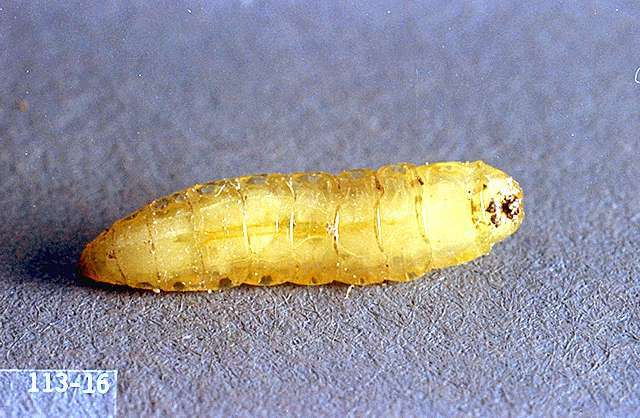 Soil-borne larvae subsequently feed on the taproot through mid-July, then diapause as non-feeding, overwintering larvae. Use field history to determine the need for at-planting insecticides. Adult root maggot flies are highly mobile; they continually colonize fields over long distances during a 6-week egg-laying period. Control requires repeated insecticide applications to kill flies before they lay eggs, but this has the potential negative side effects of selecting for pesticide resistant strains and triggering outbreaks of aphid and leaf-feeding caterpillars by eliminating their natural enemies. aldicarb (AgLogic 15G, AgLogic 15GG) at 1.05 to 2.1 lb ai/a. PHI 90 days, 120 days if tops are fed to livestock. Do not use tops as food for humans. Do not make more than one at-planting and two postemergence applications per crop. Do not exceed a total of 4.95 lb ai/a per season. Immediately deep-disk any spills at row ends or elsewhere to ensure the granules are covered with a layer of soil. At planting (or within 1 week prior)-Drill granules 1 to 3 inches below seedline. Granules can be placed into the seed furrow if rate does not exceed 1.05 lb ai/a. Postemergence-Apply granules to both sides of plant row and immediately work into the soil or cover with soil, or, for furrow irrigation side-dress granules 4 to 8 inches to water-furrow side of plant row and at furrow depth. Irrigate soon after application. Apply within 60 days after planting. Do not make any postemergence applications if 4.05 to 4.95 lb ai/a was applied at planting or within 1 week prior to planting. At planting-Apply at 1 to 2 lb ai/a based on 22-inch row spacing. REI 24 hr. Apply in 4- to 5-inch band behind planter shoe, over drill row, and in front of press wheel; do not apply granules in direct contact with seeds. Incorporate into top 0.5 to 1 inch of soil. If heavy fly pressure is expected, you can augment at planting applications with chlorpyrifos 4E postemergence. Postemergence-Apply at 1.5 to 2 lb ai/a based on 22-inch row spacing. Apply granules in 3- to 5-inch band over row (up to two- to four-leaf stage). Incorporate into the top 0.5 to 1 inch of soil. Do not apply more than once per year. Postemergence (primary treatment)-Apply at 0.67 to 1 lb ai/a band application. Apply spray in 5- to 7-inch band over row, lightly incorporate mechanically or with irrigation. Base application timing on local monitoring of fly activity with traps. Apply from 7 days before until 3 days after peak adult emergence. Do not apply more than 2 lb ai/a of the 75WG formulation per season or more than 3 lb ai/a of the 4E formulation per season. Do not apply more than three times per season. Postemergence (primary treatment)-Apply at 0.626 to 0.939 lb ai/a band application. Apply spray in 5- to 7-inch band over row, lightly incorporate mechanically or with irrigation. Base application timing on local monitoring of fly activity with traps. Apply from 7 days before until 3 days after peak adult emergence. Do not apply more than 2 lb ai/a of the 75WG formulation per season or more than 3 lb ai/a of the 4E formulation per season. Do not apply more than three times per season. 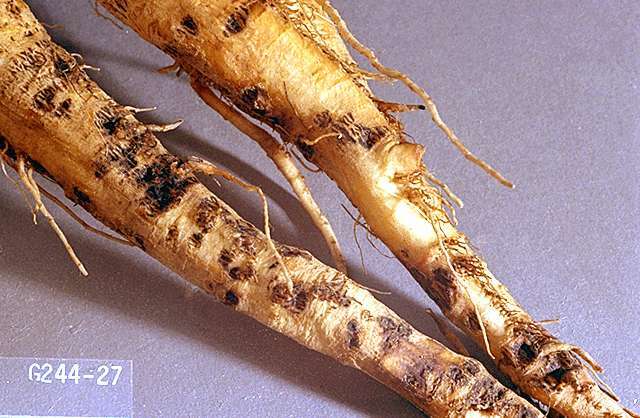 clothianidin (NipsIt INSIDE)-Application only by commercial seed treaters; no on-farm seed treatment application. clothianidin/beta-cyfluthrin (Poncho Beta)-Application only by commercial seed treaters; no on-farm seed treatment application. At planting (Thimet 20G and others)-Apply at 0.68 to 0.9 oz ai/1,000 row ft. PHI 30 days. Do not feed tops or silage to dairy cattle. Do not place granules in direct contact with seed. Drill to side of seed or band over seed. No more than one application per cropping season. Postemergence (Thimet 20G and others)-Apply at 0.98 to 1.5 lb ai/a to foliage when plants are dry. Only one treatment postemergence per season. Do not feed tops or silage to dairy cattle. No more than one application per cropping season. terbufos (Counter CR Lock'n Load, Counter 20G Lock'n Load, Counter 20G Smartbox, Counter 15G Lock'n Load, Counter 15G Smartbox)-One application per year. Do not place in direct contact with seed. Do not exceed 2 lb ai/a. PHI 110 days. At planting-Apply at 0.6 to 1.2 oz ai/1,000 row ft banded or modified in-furrow. Apply in 5- to 7-inch band over the row and incorporate or apply in furrow, 2 to 3 inches behind seed drop zone after some soil has covered the seed. Postemergence-Apply at 0.6 to 1.2 oz ai/1,000 row ft banded. Apply in 5- to 7-inch band over the row; lightly incorporate. Apply at first sign of fly emergence. (Mustang) at-planting application for suppression only of light to moderate infestations at 0.05 lb ai/a. Apply in furrow or in a 3- to 4-inch T-Band (band over open furrow) in a minimum of 3 to 5 gal/a water. PHI 50 days. Do not apply more than 0.15 lb ai/a per season (at planting/foliar applications). (Mustang Maxx) at planting, 0.025 lb ai/a. Suppression only. For light to moderate infestations only. Make a 3 to 4 inch T-Band at planting in a minimum of 3 to 5 gal per acre. 50 day PHI for tops or roots. Do not apply more than 0.075 lb ai/a per season. REI 12 hr. chlorpyrifos (Eraser, Govern 4E, Lorsban 4E, Lorsban 75WG, Nufos 4E, Pilot 4E, Warhawk, Whirlwind, Yuma 4E, and others) at 0.25 to 0.5 lb ai/a broadcast -or- Lorsban Advanced, Vulcan at 0.235 to 0.469 lb ai/a broadcast. PHI 30 days. Apply anytime from 7-days before until 3-days after peak adult emergence in order to target adult flies present at time of application based on local field monitoring. Reduce potential for development of insecticide resistance by (1) avoid making more than two applications of chlorpyrifos 4E per season when adults are active or (2) do not make more than 1 post-emergence application of chlorpyrifos 4E when adults are active if an organophosphate insecticide was applied at planting. Do not let livestock graze in treated areas or harvest treated beet tops as feed for meat or dairy animals within 30 days after last treatment. esfenvalerate (Asana XL and S-fenvaloStar, Zyrate) at 0.03 to 0.05 lb ai/a. PHI 21 days. Do not apply more than 0.15 lb ai/a per season. Apply with ground or air equipment using enough water (at least 2 gal/a) for uniform coverage.